There are two pools and a private beach at the resort. 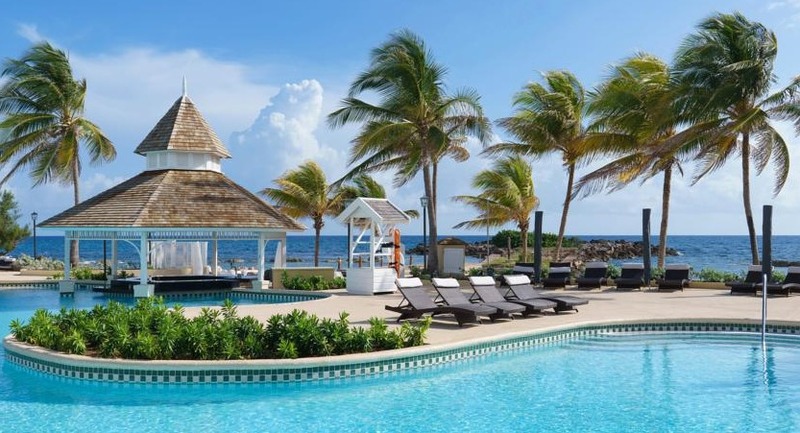 Melia Braco Village Jamaica is a new all-inclusive resort in Trelawny, Jamaica. The resort is located on a private beach and features two pools, an exclusive adults-only section with beachfront rooms, a spa, and a kids’ club. There’s a total of 226 guest rooms at the resort, including 61 suites. Guests can choose from a variety of garden view and oceanfront rooms equipped with bathrobes and slippers, Nespresso coffee machines, mini-bars, flat-screen TVs and 24-hour room service. The Level is Melia’s adults-only, upgraded room category. Guests of The Level enjoy beachfront rooms in a secluded area of the resort, a VIP lounge with private check in, an exclusive pool and restaurant, premium alcohol service and more. Melia Braco Village has six restaurants — one buffet, and five a la carte restaurants. These additional restaurants include NIKKEI, a fusion of Japanese, Cantonese and Peruvian cuisine served at Teppanyaki styled tables with show cooking; Rasta Pasta, featuring soups, salads, pasta and pizza with an extensive wine list; a steakhouse; and two beachfront restaurants, including one exclusive to The Level guests. The resort’s beach grill has a “jerk hut” showcasing jerk-style roasted meats. Adults will enjoy the YHI spa, while little ones will love Kids & Co., a children’s club featuring arts and crafts and organized activities. Melia Braco Village is located 50 minutes from Sangster International Airport (MBJ) in Montego Bay, Jamaica. For more information, visit Melia Braco Village’s website.